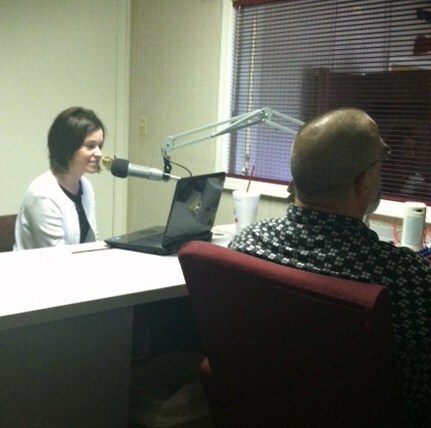 After the show, I needed to get back to Union University to teach my class so I quickly left and returned to work. By the time my class was over, Tom had left me two voice mails asking me to call him. When he and I talked, he asked me if I would be interested in doing a daily radio segment aimed at encouraging the women in West Tennessee. He told me I had a great voice for radio. I was shocked! Me? Radio? Seriously? The longer we talked the more excited I became. He said we could find a sponsor, and I could record the daily segments ahead of time, as my schedule allowed. He asked me to pray about it. So I did. As I prayed, I felt God urging me to pursue this path. But how? I did not know a thing about radio, or having a formalized ministry. It scared me, but inside my spirit, God was whispering that this was His plan, so….I took steps of faith to begin this radio ministry. I begin talking with some folks about this idea and wouldn’t you know it? God had already been working behind the scenes. We had just bought a house the month before and my new neighbor just “happened” to own his own web-hosting company. He told me he would host my website for me, for free. A young lady in my Sunday school class just “happened” to be a graphic artist. She told me she would design my logo for me, for free. A friend at Union also just “happened” to do photography on the side. He told me he would take photos for my website, for free. After much prayer, I finally settled on the name, Joytime Ministries and Tom and I approached Jon Ewing of The Woman’s Clinic of Jackson about sponsorship. Jon heard the demo of Joytime and said it was just what he was looking for regarding sponsorship! Ever since that day, The Woman’s Clinic has been the sponsor of Joytime. Along with airing Joytime daily segments, The Dove also implemented a morning show with Tom called, “Morning Praise with Tom Mapes and the Sisters of Grace.” From 9-11 a.m. Monday-Friday, Tom and a female co-host would play Christian music and encourage listeners through Bible teaching and personal testimonies. I have been privileged to be the Friday Sister of Grace for over two years. 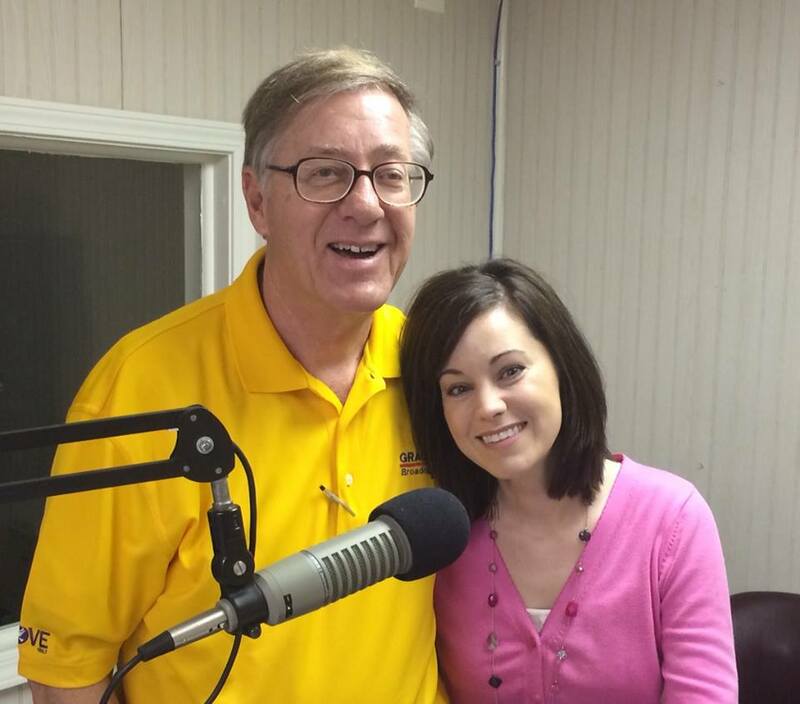 Each Friday, with my Bible and sweet tea in hand, Tom and I go on the air to share with our listeners. We have had shows where we laughed until our stomachs ached. We have also had shows where we cried so much that we needed to replace the tissue box. Week after week, we have left the studio feeling encouraged as we sought to glorify God through radio. Today was my last radio show with Tom. My days as a Sister of Grace have come to an end. As I close this chapter in my life, and my family moves to NC this summer, I am forever grateful for Tom Mapes and Grace Broadcasting. From time to time, God sends special people into your life to sharpen you and make you better. Tom is one of those people in my life. 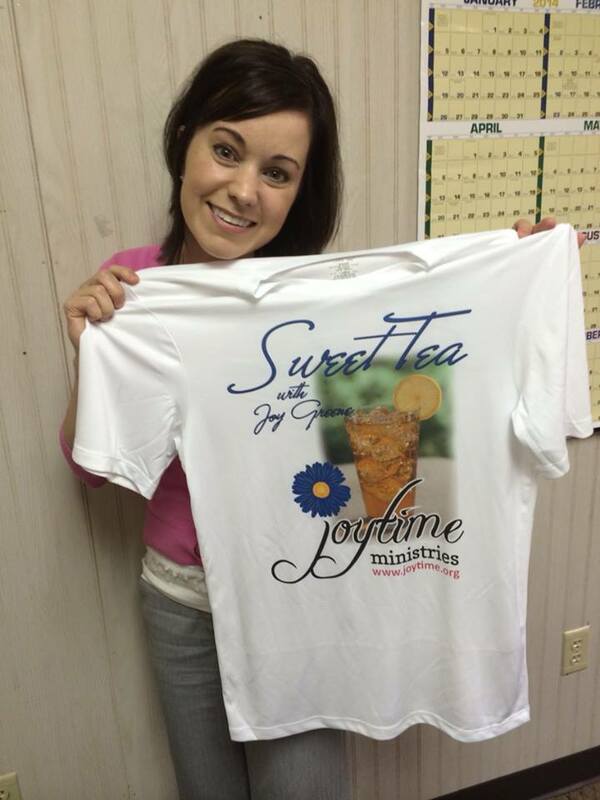 He has been a cheerleader for Joytime Ministries from the beginning. He has been a mentor and friend. Thank you Tom and the great folks at Grace Broadcasting for believing in me! What an amazing journey it has been! Can’t wait to hear “Joytime” every morning on the way to work. Wish I had know about this other broadcast also 🙁 Good luck with your move and I hope it doesn’t mean an end to “Joytime”. You have been such a positive and encouraging voice!!!!! Joy, such a sweet post with an encouraging story about God’s faithfulness. I almost feel bad you are moving back here closer to me! I am sure you were a great Sister of Grace and that you will be missed! You will be soooo missed in Jackson! You have been an amazing ‘Real’ Sister of Grace and have touch my daughter and my life greatly in your Wednesday night small group classes at Englewood. Please keep us posted on where you are going. I know God will utilize your gifts to help bring more people to him and grow spiritually as well. May you feel God’s presence every close to you in your obedience of moving again.